The Recovery Industry Engineering Standards company was set up by AVRO in 2002, to provide cost effective and expert services for Vehicle Recovery Operators. Since then, and to satisfy UKAS Accreditation, RIES has become a completely independent company with its own directors and management structure. 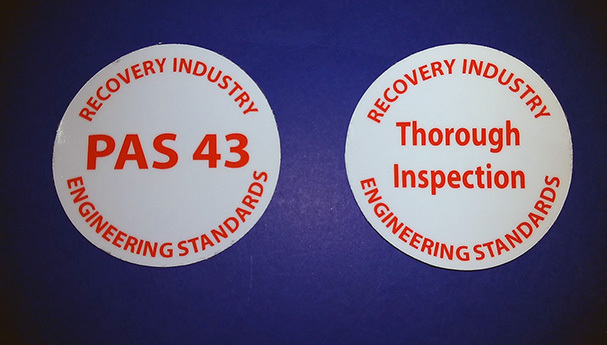 RIES are the ONLY organisation which provides UKAS Accredited PAS43 and LOLER, PUWER & Pressure Systems Inspections which operates SOLELY in the Vehicle Recovery Industry giving our assessors a clear knowledge advantage and unsurpassed experience. Our Services RIES are the ONLY organisation offering such services SOLELY to the Vehicle Recovery Industry. Health and Safety Advice and Management. We provide the best customer service possible. We make each client feel like the only client. Both LOLER and PUWER Regulations were introduced at the same time in 1998 and modernised the way that legislation dealt with mechanical equipment used in the workplace. These regulations replaced numerous acts and regulations such as the Factories Act, Mines & Quarries Act, Various Dockyard Act etc etc. Their composition was so effective that they remain as relevant today as they did when they were introduced. LOLER is the legislative requirement to be followed by businesses which have or use lifting equipment. LOLER states that owners / operators of lifting equipment have a duty to ensure that it is safe to operate and that there is no danger to any person due to its use.. Lifting Equipment raises and lowers a load, such as cranes, lifts and hoists. Accessories that are involved in the lifting process such as slings, hooks and chains. Lifting equipment must be inspected before initial use or when moved to another fixed location or where repairs have been carried out. Proof Load Tests may also be required. LOLER Thorough Inspections are carried out at specific frequencies ranging from six to twelve months or according to an inspection scheme. This is generally 12 months for equipment and 6 months for accessories. Adverse operating conditions will require more frequent inspections. RIES Inspectors are available at any time for advice on LOLER and its requirements. PUWER are general requirements for all types of work equipment and promotes safety in the workplace when using certain types of equipment. PUWER places legal responsibility onto the companies or persons who own, operate or have control over such equipment. To comply with PUWER, any work equipment must be suitable and safe for use. Only people who are competently trained can use the equipment. RIES Inspectors are available at any time for advice on PUWER and its requirements. 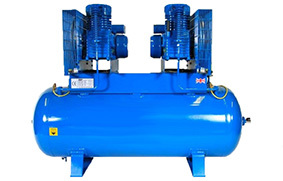 These regulations require that garage / workshop compressors must be maintained in efficient working order and must be inspected at least every 24 months, depending on the conditions in which they are used. RIES Inspectors are available at any time for advice on PSSR and its requirements.